Analyst Michael Pachter sees good things in the months ahead for Sony, but warns not to expect a PS3 price cut any time soon. It's been a good year for Sony and the PS3 so far, and analyst Michael Pachter thinks that it's only going to get better. Pachter weighed in on state of hardware in 2010, and predicted that Sony would see major growth in the next few months. 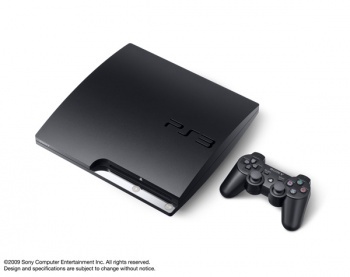 "We expect PS3 sales to continue to grow significantly in 2010 (vs. 2009)," he said. "We think that PS3 sales continued to be constrained by low supply throughout May, but expect the PS3 to sell near parity with the Xbox 360 in the months ahead." He also said that a price cut to match that of the new Xbox 360 Slim was very unlikely, as the PS3 was being sold at very close to what it costs to make: "[W]e are not convinced that Sony will cut the price of the PS3 due to continued tight supply ... a price reduction would likely trigger a loss on each unit sold (until manufacturing costs come down further)." Pachter comments align with those of EA's John Schappert, who also saw a good year ahead for the console. The new, slim PS3 and the Kevin Butler ad campaign has given Sony some real momentum, and it seems that everyone expects this to continue.